I am writing this wearing a hotel robe, hotel slippers, eating a plate of cheese in bed. And life is gooooood. 1 . Dinner. 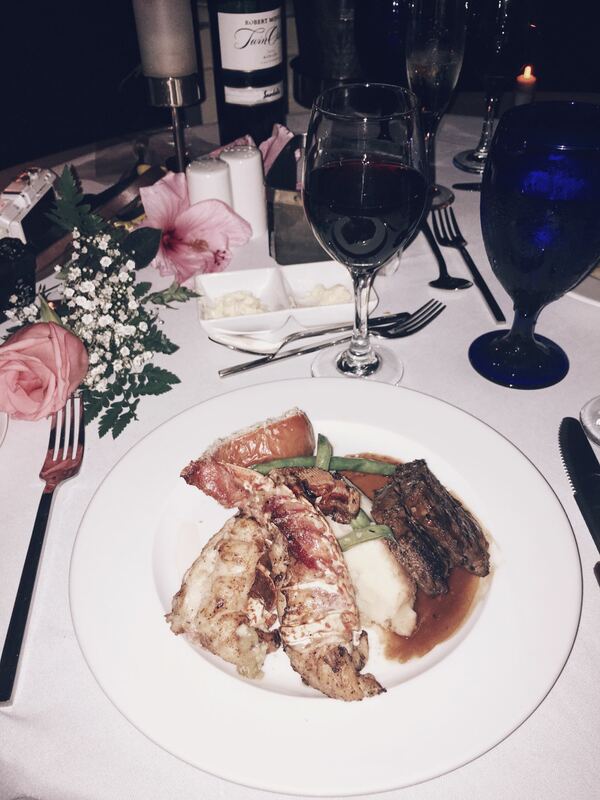 We have just got in from the most amazing dinner that Sandals arranged for us. It was called the candlelight dinner and it was so gorgeous! 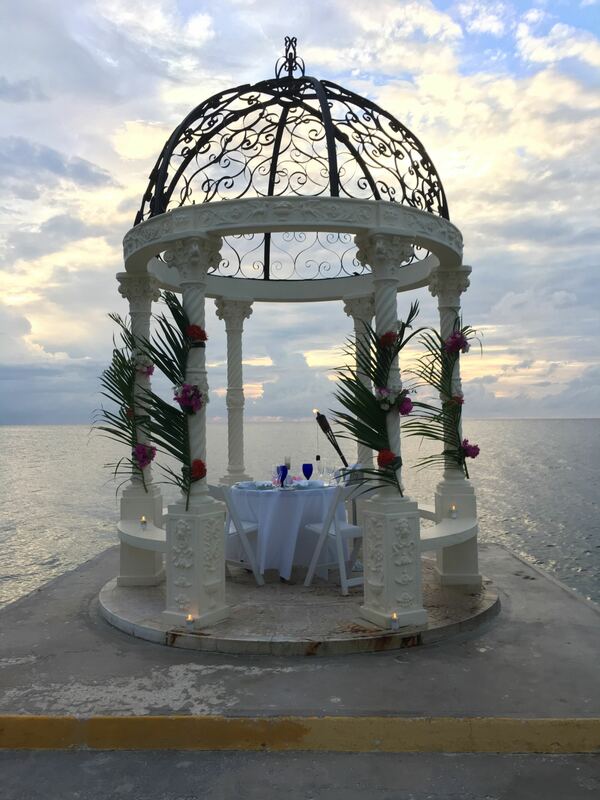 I don’t want to share to many details as I want to put it all in a special Jamaican blog post – but I will give you a sneak peak of the incredible setting where we got to spend our evening! 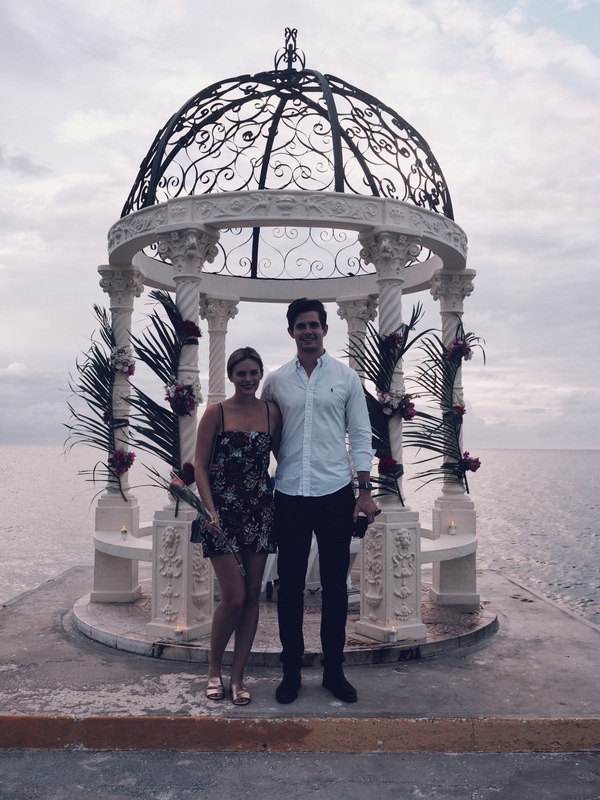 Basically – it was a private dining experience – down a little concrete pier type thing – to this amazing gazebo which was covered in leaves and flowers. We took about 9000 photos and then settled down for some amazing food – the best we have had since we got here. It was so lovely and quite and so romantic. Normally I am really bad with stuff like that as I find it super cringe and awkward – but it was so lovely and they waiter who looked after us was such a legend. We got back a little while ago and I am now tucked up in bed, writing my blog post, wearing a Sandals dressing gown and munching on some cheese and it has been the most perfect evening. 2 . We were meant to get up super early this morning to go and take some Instagram photos and content. Alarm went off and I honeslty couldn’t have wanted to get out of bed less if I tried. So I was wishing that it was cloudy outside so that I could have 20 mins more in bed. AND GUESS WHAT – CLOUD. SO MUCH CLOUD. IN FACT IT WAS SUPER GREY. So we went back to sleep for 40 mins and it was the best feeling in the world. I love a lie in. Especially a non planned one. 3 . At dinner, I was given a rose by our waiter. It was so gorgeous and such a lovely touch at the start of the evening and it made me so happy. Alex never buys me flowers – so it was lovely to get a rose from someone (he is reading over my shoulder as I write this – maybe he will get the hint). 4 . We moved hotels today to another Sandals resort just down the road. 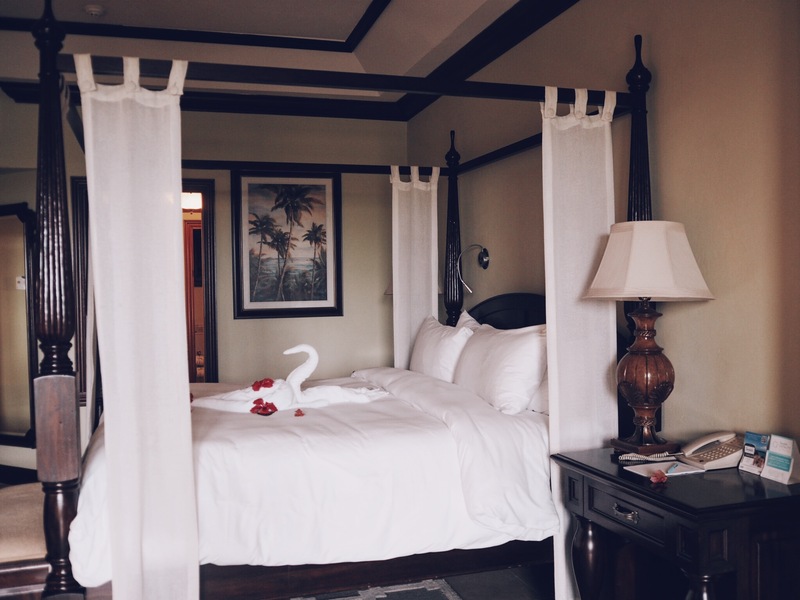 We are staying in the most amazing room with a huge four poster bed, and amazing caribbean interiors. So obsessed with our room and the new hotel. So excited to get up early and go exploring! 5 . So in love with my dress I wore this evening. It is from Urban Outfitters and it made me feel all the sass.